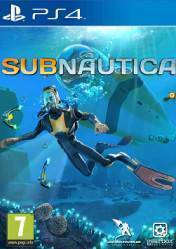 Attention: This version of Subnautica is for PS4 and many of the stores listed in Gocdkeys, where you will find the best internet prices for this game and many others, offer a version in account format. PS4 accounts give access to the game simply by accessing them through a username and password that you will receive by email after purchase. These versions may have a regional block and are marked with the "Account Format" label in our price list.